In order to remove or prune a tree, permission must be obtained from the owner of the property and the City of Sydney … usually. Under certain circumstances a tree may be pruned or cut down without a permit. The tree species, the City’s Register of Significant Trees, the size of the tree and the tree’s condition are all determining factors. Camphor laurel (Cinnamomum camphora), Chinese nettle (Celtis sinensis), American nettle (Celtis occidentalis), coral tree (Erythrina x sykesii) and liquidambar (Liquidambar styraciflua) are all tree species which may be cut down or pruned without getting a permit from the City. If the tree is 10 metres tall or if the individual tree is on the City’s Register of Significant Trees, however, permission is required. All types of bamboo, citrus, cotoneaster (Cotoneaster spp. ), privet (Ligustrum spp. ), mulberry (Morus spp.) and banana (Musa spp.) may be cut down or pruned without permission from the City of Sydney unless the tree is on the City’s Register of Significant Trees. Rubber trees (Ficus elastica), tree of heaven (Ailanthus altissima), Norfolk Island hibiscus (Lagunaria patersonia), white cedar (Melia azedarach), African olive (Olea europaea var. Africana), willow (Salix babylonica), umbrella tree (Schefflera actinophylla) and cocos palms (Syagrus romanzoffianum) may also be cut down or pruned without a permit. Wild honey locust (Gleditsia triacanthos) and false acacia (Robinia pseudacacia) do not require a permit to prune or cut them down, unless they are on the Significant Tree list, but cultivars of these two species do require a permit. When the tree is posing an immediate hazard to people or property, it may be cut down or pruned as necessary to make it safe without permission from the City. A report must be filed with the City of Sydney right away, though. The tree must be evaluated by an Arborist with an AQF Level 3 or higher before taking action. 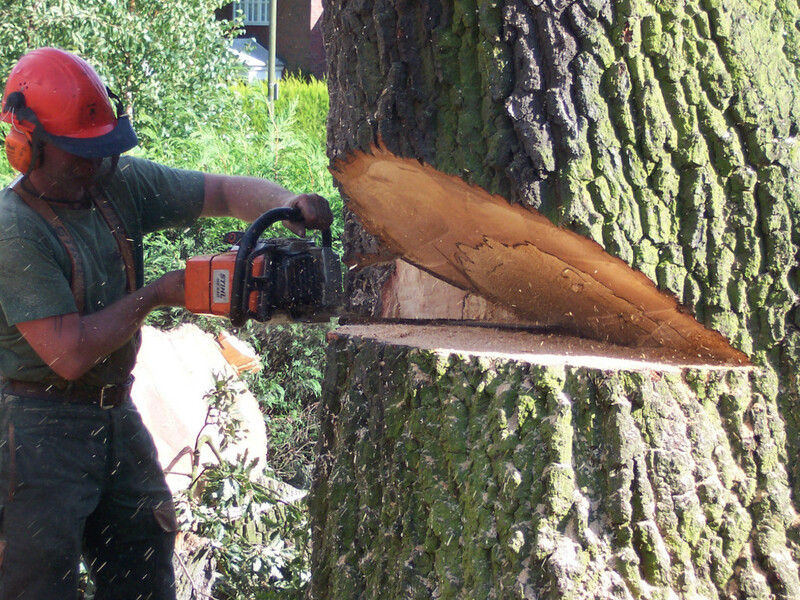 The Arborist must determine if the tree needs to be pruned or removed for safety. The circumstances and the tree’s condition must be recorded and the report provided to the City by the Arborist to support the need for immediate action. Even when permission from the City of Sydney is not required, the work must be completed by a qualified Arborist. He or she must have an AQF Level 3 or higher. For general pruning, an Arborist who specialises only in climbing and pruning can be hired for the job. If the tree’s health is in question and a diagnosis is required, an Arborist who specialises in tree diseases should be called in for an evaluation.